I am glad to report that Prehistoric Park is still going strong in our house. 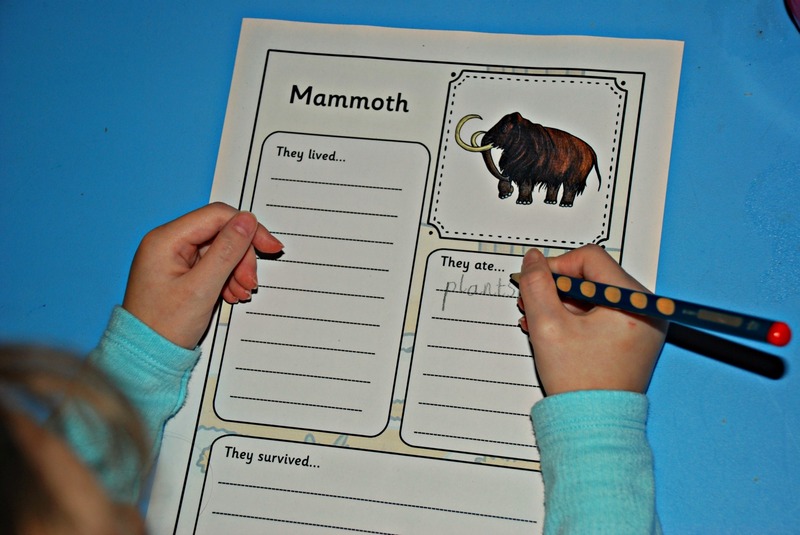 My kids just love it, they have made their own game where they go and look for Dinosaurs to bring back to their own Prehistoric park, and the questions just keep coming. We have watched the episodes so many times yet they are still picking up interesting facts. To go with the new obsession about everything prehistoric we bought another great usborne book. 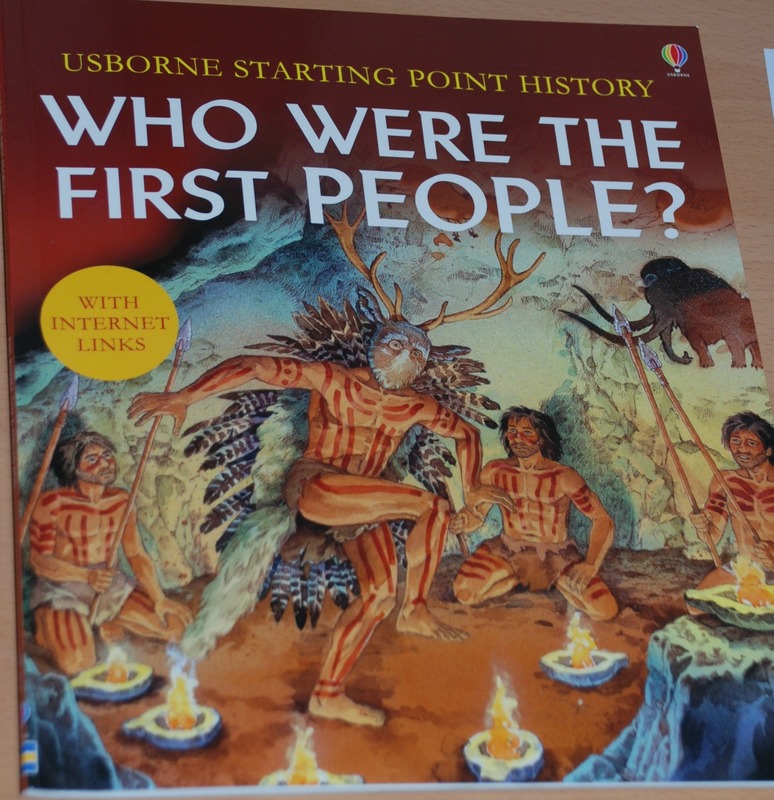 Who are the first people is very informative and my daughter has enjoyed reading it with me. She was very taken by the fact that prehistoric man did not write like we do. So we did a little exercise. 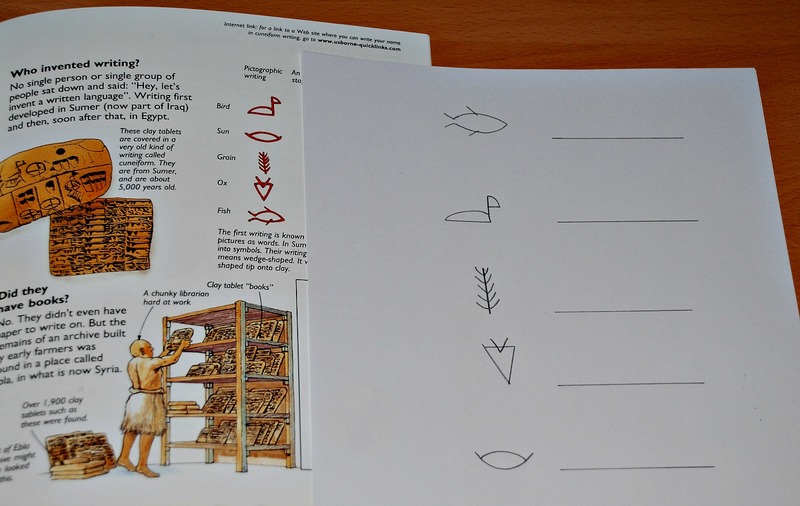 I copied some of the early signs onto a page and she had to write what the signs meant. She thought this was great. 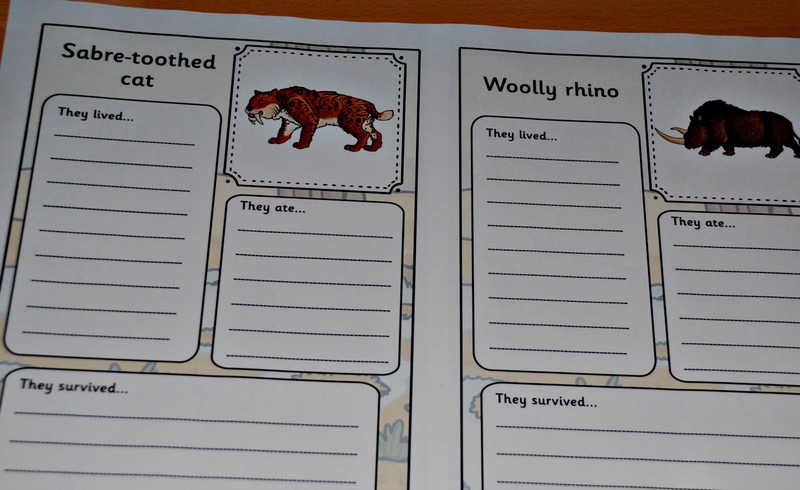 We also used these lovely Prehistoric animal writing pages from Twinkl and madam wrote out descriptive words and phrases for the Woolly Mammoth, Woolly Rhino and the Saber-tooth cat. She is still not keen to do lots of writing but she is happy to do pages like this. 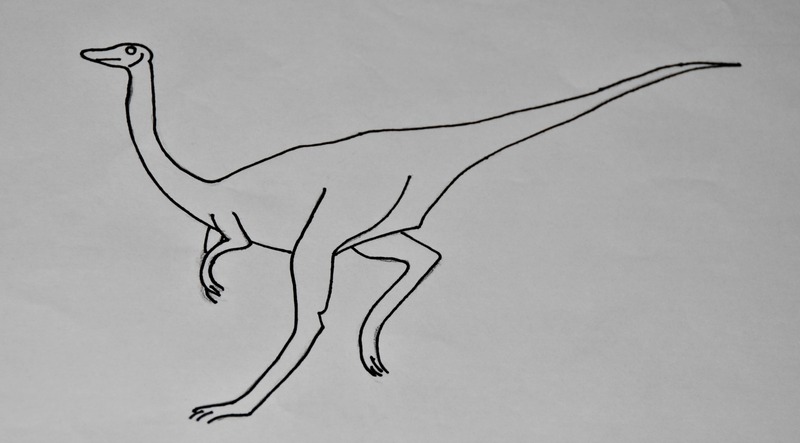 One of the kids favourite Dinosaurs from the series is the Ornithomimus. 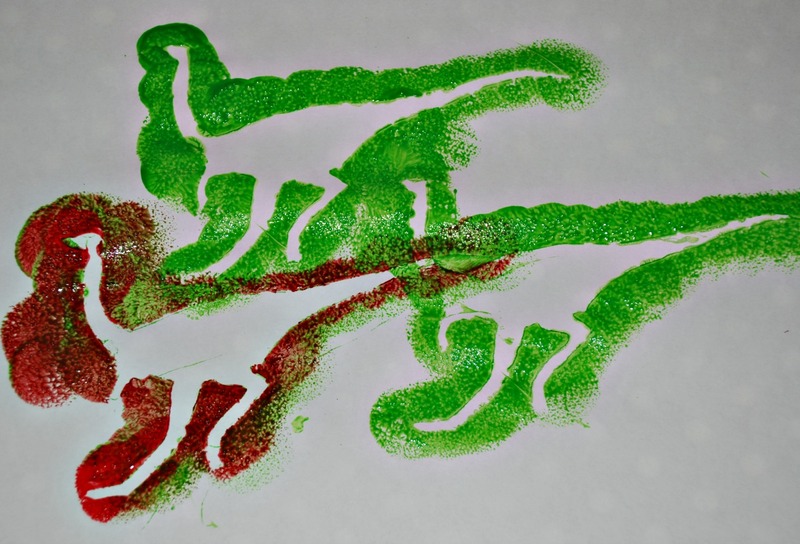 It is not a dinosaur that you can find lots of worksheets etc on so I thought we would try to make our own Ornithomimus picture. Here is the stencil that we used. 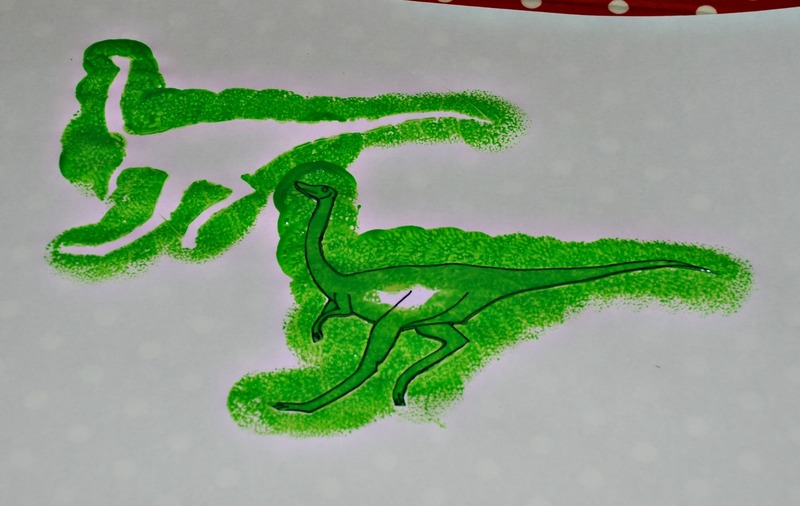 This entry was posted in Art and Craft Ideas, History, Homeschooling and tagged Dinosaurs, History, home ed, homeschooling, ks1 english, ornithomimus, prehistoric animals, prehistoric park, Twinkl. Bookmark the permalink.